In the lead with a 3.9%, YouTube has nudged ahead of MySpace (3.35%) in the Nielsen/NetRatings index of global internet visits. And in terms of the worldwide audience, YouTube now beats the BBC family of websites. The site, described by a director at Isobar as having “a far more universal appeal, being pure entertainment with a global appeal” is powering ahead of MySpace, a less focussed community website. The number of distinct users visiting YouTube (it’s reach) has shot up 155% over the least three months, while growth at MySpace has only increased by 9%. Is this a surprise? 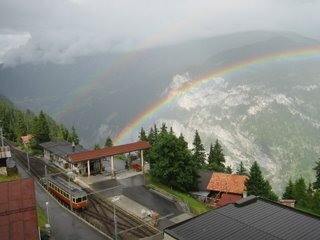 If a picture is worth a thousand words, then perhaps a moving picture is worth a thousand blogs? News this week that the BBC are going to extend their current podcasting trial into video. Around 30 programmes will be made available as video clips for download to iPods etc. So a weekly video digest of Newsnight will now accompany the audio highlights. Who, when, why, and what it might have meant - the week at high velocity. Updated every Friday. The editor Mark Barlex says it's "uniquely difficult to describe". It is short. Less than five minutes. And fast. Very fast indeed. It is just as well that it is now available as a podcast because you might need to watch it more than once. But if traditional news is not your thing, you might enjoy this. Pick up a few new facts, probably of no use whatsoever. Have a laugh at a politician's expense. See famous presenters at moments of embarrassment. Help keep the BBC graphics department in business. STORYfix is presented by regular Emily Maitlis or the occasional guest talent, and published as a podcast on Friday evenings. Might be worth checking out (for the first week at least). There may be a Swiss feel to the next few postings - somewhat influenced by a Swiss friend who is staying with us. Marking Swiss National Day on Tuesday 1st August will be a must. 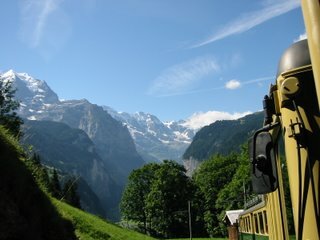 But it made be look back on some photographs from a holiday in Switzerland (honeymoon to be precise) back in Summer of 2002. Having moved into our house thirteen and a half months ago, I finally got around to shifting a pile of boxes of books (about sixteen or so) out of our dining room and into the thin passageway underneath the stairs. A great tower of cardboard no longer cluttering up a useful room, but now safely and neatly stowed out of everyone’s sight. Why didn’t my wife nag me more about this sooner?! Tim Moore’s French Revolutions describes the consequences of Tim’s impetuous decision to cycle all 3,630 km of the Tour de France route. 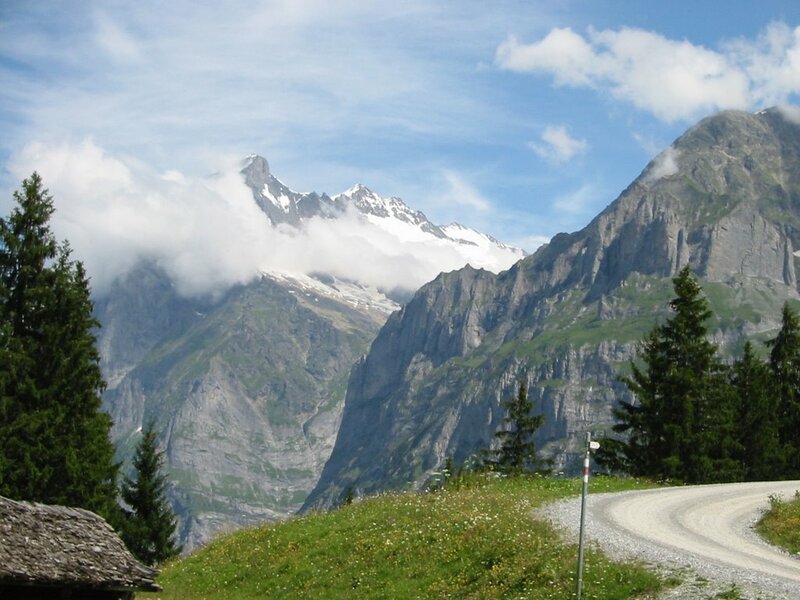 Tim wasn’t too fit at the start, and knew nothing about bicycles and cycling. But his stamina, endurance and family support—to say nothing of Vaseline, cheating and drugs (sounds a bit like the real Tour! )—helped him complete his adventure. Magnus Mills’ All Quiet on the Orient Express, The Restraint of Beasts and The Scheme for Full Employment. What can I say? All brilliantly dark, comic novels, with sinister characters inhabiting stripped back locations. Mills has a knack of depicting truly awful situations down to a tee. And lots, lots more good books. Hasbro are shortly planning to update their Monopoly board game to use plastic instead of paper money. 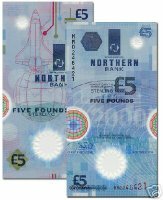 And I'm not referring to Northern Bank fivers - which local readers will have all have tried to rip but failed. No. 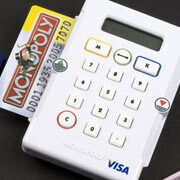 In future, players will have fake credit cards to pass across to the banker who will scan them through a battery operated device that can add a further £200 credit every time you pass go, and subtract off your fines. No more cheating the bank and clumsily picking up three £100 notes instead of two! And the word on the street is that the new game will be twice the price of the original – though it couldn’t possibly be twice the fun! A stream of consciousness and three stories in one. (Story one …) An RSS news reader runs in the background on my PC in work. FeedReader 2.90. I’m not impressed and would love your recommendations of free PC-based RSS readers. I like the three-pane format, but it hogs processing power and makes the fan on my laptop run five minutes out of every ten. (Story two …) One story of interest to East Belfast readers that caught my eye off the BBC NI news feed was the evacuation of the PSNI’s Garnerville training facility just before noon due to a suspected gas leak. It explains the wailing of sirens as cars and tenders zoomed up the road outside my window about that time. 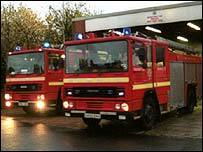 I’ve borrowed BBC NI’s standard picture that accompanies any breaking story involving the fire brigade. After a few hours it is usually replaced with a more specific image from the scene. But it seems appropriate in this case since it looks very like the Upper Newtownards Road fire station that would have provided the fire appliances to deal with the suspected gas leak. 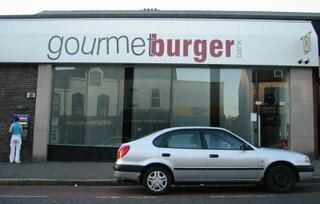 Now, it's a pity that the Tesco Knocknagoney café is out of action at the moment as they would surely have done great business. 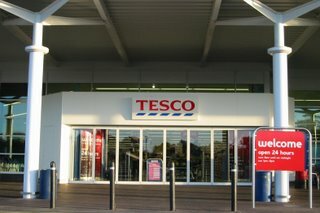 (Story three …) While I’m on the subject of Tesco. Self check out. I noticed similar self check out machines at Marks and Spencer at Sprucefield on Saturday. 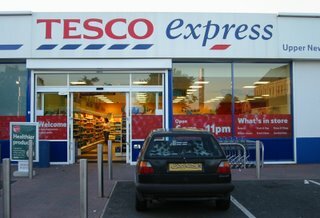 Then last night while shopping at the local temple of Tesco I noticed some empty check out lanes and thought I’d give it a go. Some handy hints. After you scan the barcode, bang the product down on the conveyor belt. The computer is waiting for you to set the stuff down, and if you set them down gently, it sometimes misses it. Set bottles down on their side. Unlike the smooth belts operated by check out staff, this one jerks the products along, making anything slim and tall fall over. Don’t take wine through the self service check out. There is a tiny sign hanging from the ceiling warning you not to check out alcohol, but if you’re not seven foot tall you’ll miss it. The check out machine liked one bottle, but sent for a supervisor when the second went through. But no explicit "you can’t buy that in this lane" message on the little screen. Like all new technology - and applications of old technology - self check out isn't yet fully intuitive and requires the customer to be over-aware of the system and process. Tomorrow's challenge in work is to avoid falling into Dilbert's trap. So Alan is back in Belfast, returned from Ballycastle via Dundonald’s Ulster Hospital A&E, but that’s another story). Ballycastle grew on me over the three days. I used to spend the Good Friday to Easter Tuesday every year camped in Ballycastle’s Primary School on Quay Road. But other than Boyle’s shop (which stayed open late especially for our crowd’s nightly visit for tuck), the beach and the forest, I didn’t see much of the town. This week, I’ve started to appreciate that Ballycastle manages to combine being up on the North Coast without being overrun by tourists. Although the traffic on its main street can be manic, it’s less gridlocked that Portrush and Portstewart. Unlike Wayne, I only took a couple of photos while up in Ballycastle, missing the chance to reproduce his spoiled image. If you walk onto the beach, turn right, and keep walking, you’ll hit a little white house (photo not mine) known locally as Marconi’s Cottage. 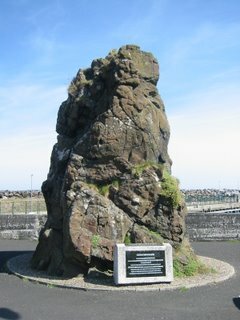 It’s from here that Guglielmo Marconi made wireless transmissions across the water from Ballycastle to Rathlin Island (six miles off the shore of Northern Ireland). 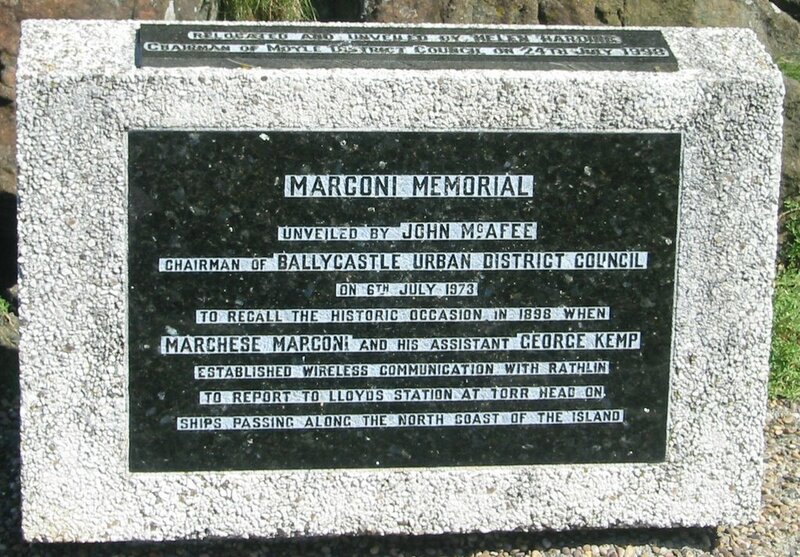 There’s a memorial to Marconi in Ballycastle Harbour car park, just behind the excellent Morton’s Fish and Ship shop (strongly recommended). One change from my earlier memories of Ballycastle is the thriving, competitive trade in trips to Rathlin. Although the official Caledonian Macbrayne ferry still runs three times daily, other local boats also offer carriage across to Rathlin to check out the bird watching, diving (lots of offshore wrecks), cliffs and caves (one of which might be where Robert the Bruce saw a spider). You can stay overnight – there are 30 beds available for summer visitors, massively increasing the normal population of 75. For the two months of Jury Service starting back in May, and since, I've travelled relatively little. 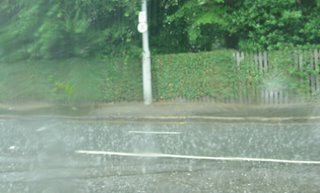 A couple of trips to London, Horsham for a day, Portstewart for the wettest week of the summer. Nothing too exciting. 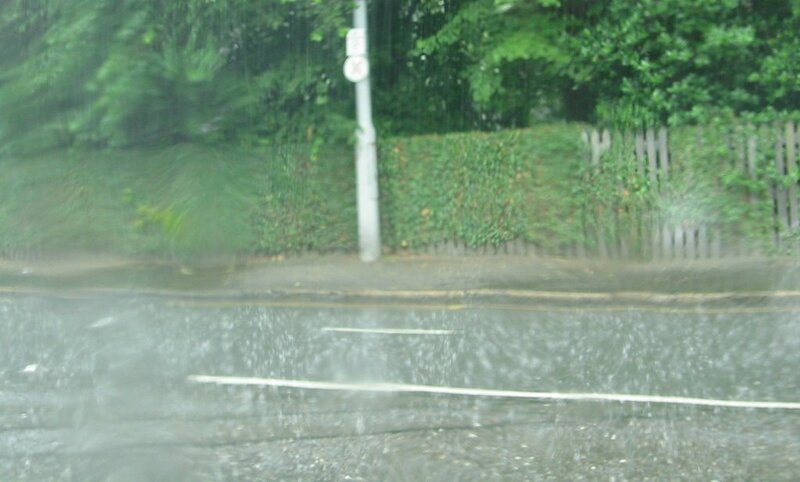 The normal two or three days away in England each week has been diluted to a day or two every couple of weeks. I nearly miss the bustle of the airport, and the relaxed feeling as I sink back into familiar airline cabins. Looks like the pace of scooting about is about to change again. Last weekend in Monaghan, three days this week in sunny Ballycastle (too hot! ), popping across to Oswestry on Friday(that's in Wales in case you're wondering) and now a proposed trip to Budapest next week. Budapest sounds like an interesting place to visit - though I do admit to turning to Wikipedia to augment my postage-stamp knowledge of the city. In my early teens I went through a brief stamp-collecting phase. I remember a packet of assorted stamps being picked up cheap in a little tatty shop in Oxford while on a family holiday one year. Amongst the most colourful stamps were those from Magyar Posta (the Hungarian postal service). I fear though that visiting Budapest will be like December's work trip to Amsterdam. 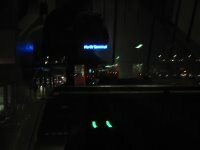 Other than driving past a huge stadium-looking construction with Ajax painted in large letters on the side, I could have been in a taxi in any European city. Been there, but not had time to buy the T-shirt. 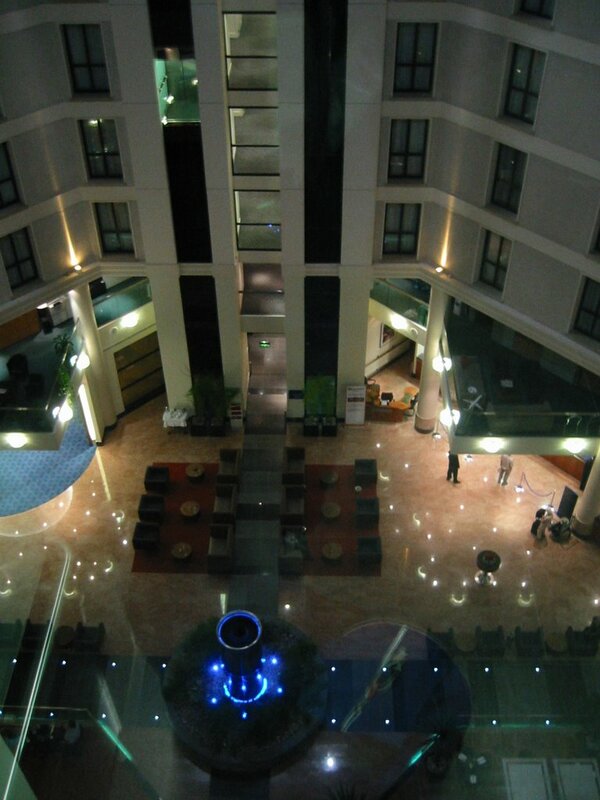 So what should I look for in Budapest? Sunday afternoon saw the customer-facing side of Yahoo's email systems go down. While email was being accepted in, POP and web access to mailboxes was very flaky until mid-evening. Even then, it came back in dribs and drabs with some email accounts getting POP access hours before others. Now on the BBC News technology pages (and no doubt The Register - updated with the inevitable link) I read that MySpace has been down for 12+ hours due to a power outage. In the Web 2.0 mashup world, many of the participants offer services that are permanent beta, and come with few service level guarantees. Resilient data centres don't come cheap (or grow on trees). Yet you also come to rely on what you can get. The Rupert Murdoch-owned MySpace community will be shaken and weakened by this prolonged outage. The only plus side is that they'll have had no where to vent their frustration as their blogs were down! We were down in Monaghan for the weekend. There are two ways (maybe more) of lifting our nineteen-month old daughter out of a grouchy mood: a trip to a play park for a swing, and a quick pre-bedtime treat from BBC’s CBeebies (channel 71 on Freeview). For the first, I can recommend Holywood Lake and Park about 7km north west of Monaghan town. The play park is nothing to get excited about—Smithboro village far exceeds in terms of equipment—but the view is great. A lake clean enough for the locals to swim in it (it includes a walled off “beginners” area). A lot of recent work has enhanced the park—toilets, weeding the lake— and more improvements are planned. The second proved impossible to fulfil. The Irish Sky Service doesn’t include any BBC channels other than BBC 1 and 2 Northern Ireland—presumably due to the lack of a contribution towards the licence fee—so no CBeebies on offer. Oh how we missed it. 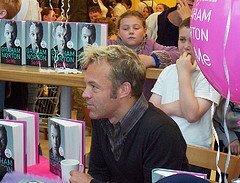 Tonight I had nearly dozed off on the sofa when a vision of Graham Norton appeared on screen, reminding little people that he’d be reading them a bedside story on CBeebes later on. Has his exclusive contract with the BBC really amounted to Strictly Dance Fever and the modern Jackanory? A quick Google suggests that Graham Norton and Sophie Raworth are reading the 6.50pm stories all week. My wife recommended I read Brian McLaren’s A new kind of Christian at Easter. She'd raced through the three books in the series. I got about half way through the first chapter, and then got distracted by another title on the bedside table. When I got back to it recently, it was well worth the read. Books by Christian authors - the non-fiction tomes anyway - tend towards being dry. Reading them feels like making a pilgrimage, doing penitence, rather than an enjoyable act that might inform, challenge and stretch. McLaren sets out from the start to engage with his readers. He makes his points - serious and sometimes controversial - points by telling a story. The two main characters - Dan (based loosely on the author) and Neo (a teacher at Dan's daughter's school - meet up at a local gig (by the Amish Jellies), get talking, and continue to meet up to talk over a period of months. Their lives and past experiences are slowly unravelled as the chapters describe their journey, exploring the issues that they face. Dan is a pastor, struggling to keep running around the hamster wheel he finds himself on. He's started to question the stock answers he has been using to convince others over the years. Can the doctrines and theological positions he has grown up with - and been coached in while training at the seminary - be so simply explained? Black and white issues turning grey. Yet Dan recognises that his doubts, and his possible conclusions, may be less than agreeable to his congregation who will hear a heretic preaching and not a prophet. There's so much in the book that challenges and jars with traditional thinking (ie, thought out a long time ago and passed on with little new thinking). Some quotes as examples. I’ll probably come back and explore some in future posts. "[Other religions aren’t the enemy of the gospel, in my mind, and more than Christianity is the enemy—though of course sometimes it is." More to follow on another day. As the second busiest airport in the UK - and sixth busiest in the world - Gatwick is like a village always on the go. So landing at Gatwick’s South Terminal late at night, I found the airport unusually quiet. Although flights continue to land into the wee small hours, there are very few passengers or staff once you leave airside and reach the check-in desks etc. 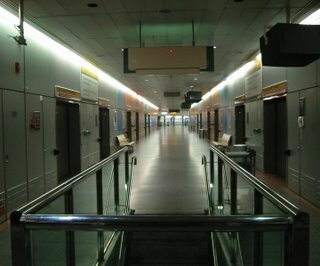 The transit link across to the North Terminal was desserted. And even the Sofitel hotel lobby wasn’t the normal bustling mix of people milling about, queuing and talking. Sorry! By leaving the comments unfettered I've been getting an increasing amount of spam. So I've turned on Blogger's word valid verification setting for comments. Hope it doesn't deter anyone from sharing their thoughts. This morning's drama is now resolved. A white van with a trailer-full of tanks pulled up about half twelve. Pumped the remaining oil into the new tank, disconnected the old tank, pumped the oil back into the old tank, lifted the new tank into place, connected it to the pipe and pumped the oil into new tank (again). Sounds like a modern version of the getting the chicken, fox and corn across the river puzzle! Looks like when the flange was trimmed in the factory, the knife went into the plastic, weakening it, and eventually creating a crack. One shiny new Titan R1000 tank. (Titan Environmental being the new name for Tyrell Tanks.) And the boiler seems to be running ok - so the oil's getting through. Success. 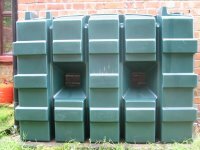 What to do with a leaking oil tank? My wife has been complaining about the smell of petrol around the house over the last few days. It started when a tiny bit of petrol leaked out of a petrol chain saw that we’d borrowed from someone to cut through some thick branches in the back garden. But with the chain saw sitting in the garage, it didn’t explain why the smell was lingering around. Now I’ve got as much sense of smell in my nose as I have in my little finger, so I wasn’t about to turn bloodhound and sniff out the source. Turns out that the oil tank has developed a crack in it. Maybe during the hot weather? And it’s been oozing out home heating oil for the last few days. Phoned Hylands Fuels - our usual oil supplier – since their number was stuck to the back of the tank. And that’s where I come back to the post’s title. 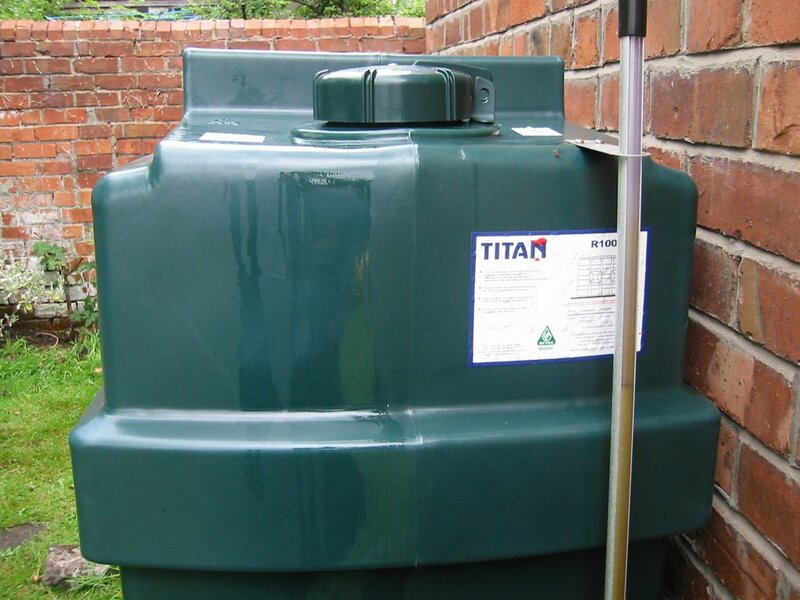 Question: What to do with a leaking oil tank? Answer: Clean it with kitchen roll and rub a dry bar of soap into the crack. It’ll stem the flow of oil. The longer answer involves phoning the manufacturer of the tank (based in Portadown) and ask if they’ll something about it under the 10-year guarantee. You’ll want to find the tank’s serial number that’s stamped into the plastic near the lid. That helps them work out the age and model of the tank. Any minute now, the engineer is due to turn up and look at it. (Update: he did.) I’ll let you know how our domestic emergency resolves. I bet he brings gaffer tape with him! I looked out the window as we descended towards Gatwick. A truly beautiful sight stretched out before me. It was a really clear, cloudness night; scattered pinpricks of amber light, patterns of street lights twisting across the ground below. As we flew past the airport to make our approach from the south, to one side, I could track the flashing red lights of a plane that was about to collide with the ground and land at Gatwick. Behind it, two other sets of flashing red were gliding down the same direction. Other red and white moving dots just visible in the distance, flying in at higher altitudes to join the late night queue. A fascinating scene of movement in the air over the tranquil ground. We banked sharply, doubling back on ourselves to fly down the virtual ramp to the runway. As we turned, looking back the next two planes could be seen spiralling in, following the same path. 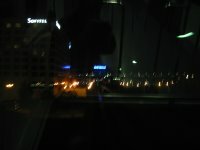 Closer to the ground, car headlights moved around the streets below, the cars dark blobs behind the shining torch beams. A thunk interrupted the peace as the undercarriage lowered. A sharp bing as the Exit signs lit up above the doors - just in case we'd need to find a way out in these last precarious moments of the journey. Down low, over the busy motorway, and we skimmed over the vast car parks. Car roofs shimmered as the light reflected. Then the rumble and skake and lurch as the wheel's touched down as we career down the runway, before pulling off at speed to the right to meander to the South Terminal. 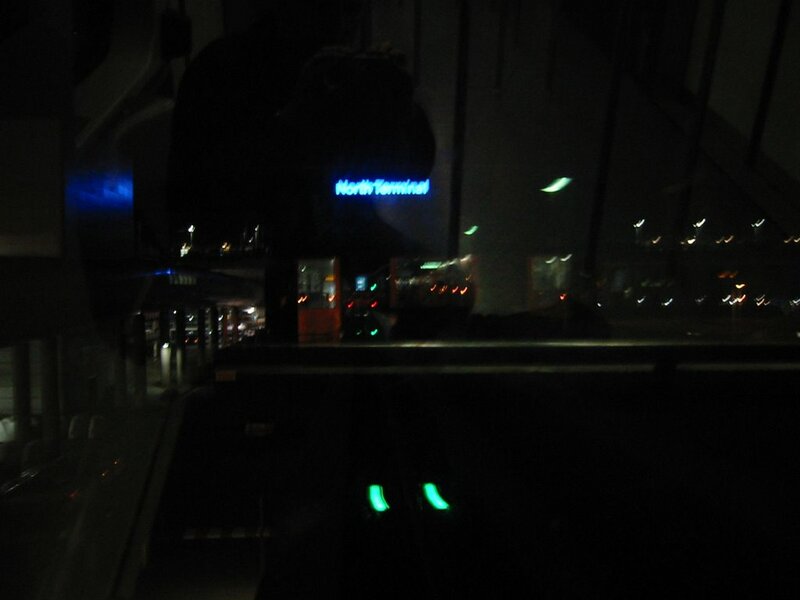 We landed half an hour early ... with time to pick up a train ticket for the morning, and catch the Transit across to the North Terminal and a comfy bed for the night. Geo Visitors from across the globe - Welcome! Having abandoned the Frappr map a few weeks ago, I occasionaly check the Geo Visitors link to see where blog readers are based. It's not terribly accurate, but throws up interesting results. UK, Ireland and US visitors are the norm. Valued, but not uncommon! Sorry about that. Sunday saw a visitor from Argentina. Monday brought surfers from as far away as Saudi Arabia, India and Australia. And a big "bienvenue" to everyone from France - attracted to the postings about Zidane (at the world cup and before)! The British Isles are predicted to enjoy (suffer) the hottest day of the year this week. And this morning BMI (British Midland) are doing their bit to help us prepare. The rear auxiliary power unit on the red-eye bit of Belfast to Heathrow isn't working this morning. It provides the electrical juice for the much needed air conditioning - so we're stuck in the blazing morning sun with no cool air until they start the main engines. And since there's a take-off restriction that means we'll only be in the air 45 minutes after the scheduled take-off time, we've a while yet to cook on the tarmac. Normally the sweating doesn't begin until you hit the Tube in London. This morning, the full flight is humming along nicely at Gate 4 in anticipation. Oh, and we've just lost the ground electrical power in the middle of the safety video. So lights out, video off, silence except for the rustling of morning newspapers. Hopefully the pilot will take pity on us and do as he suggested. Start the engines (and turn on the air con) and taxi to a quiet corner of the St George Belfast City Airport to cool us down. 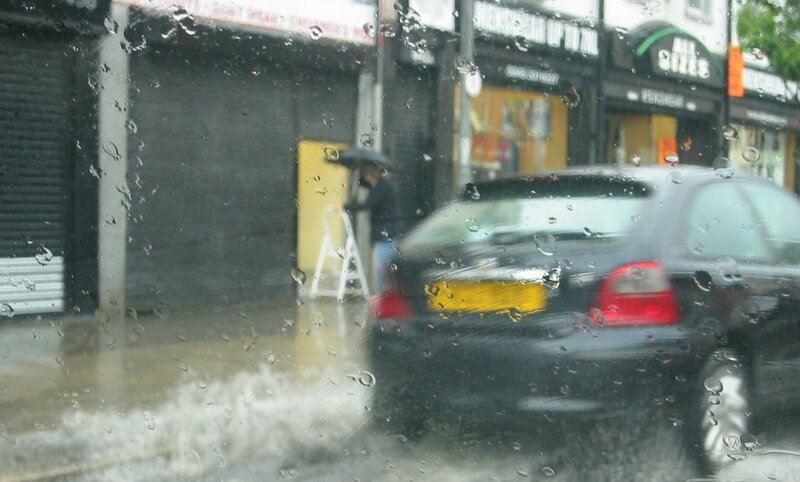 But then that would use up precious fuel that he'd rather not spend on needlessly cooling down his passengers. Our little Airbus 320 arrived at Heathrow but had park on the wrong stand after last night's irregularities - it's going to Manchester next ... so we had to be shifted the hundred yards or so down to the "Belfast gate" by bus. Why can't security walk the short distance down Terminal One to let us leave via the walkway attached to the plane. Or better still, given that there wasn't anyone physically present at the Belfast gate to eyeball us, why can't they just switch their screens to watch a different set of video cameras? I suspect the BBC have been hosting a conference on the subject of Crisis Management and the role of broadcasters. There’s a little link at the bottom of the BBC NI homepage, that points to Connect in a Crisis. Fascinating reading – if you’ve got 10 minutes to spare. 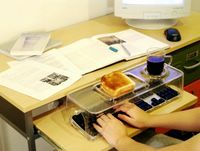 Courtesy of my weekly browse over at Shiny Shiny (http://www.shinyshiny.tv), here are some gadgets that caught my eye, though none of us will particularly want to buy them. It’s a spoon, a fork and a knife. 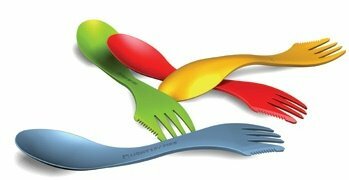 It’s made of heat-resistant material and is dishwasher safe. It’s durable a weighs a mere 6 grammes. It’s available in multiple colours. It’s only $2.99 (or $2.69 in the sale). 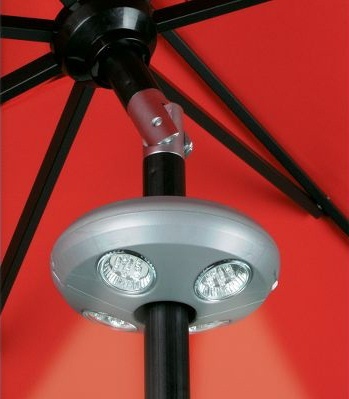 Or how about an umbrella light - a rechargeable LED light that can be fitted at the top of parasols. And check out the automatic umbrella that tracks the sun throughout the day! If you’ve still got any spare USB ports, who not splash out on an aquarium? 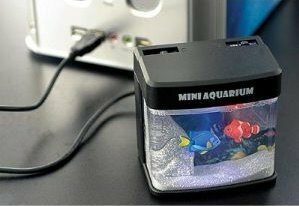 If the nerves of your IT support department (or partner) aren’t already frayed enough, plug in this mini aquarium and relax as you watch the plastic fish swimming. And if your feet are cold (and you’ve still got another USB port left), you always could buy some USB-warmed slippers. I hid you not. 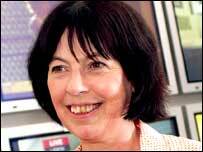 BBC Northern Ireland’s Controller, Anna Carragher, is retiring in October. A graduate of Queen's University, she joined the BBC in 1970 as a studio manager. In her long career with the corporation, she was worked as a producer on the Today programme, lived in New York, helped launch on Breakfast Time (remember Frank Bough’s dazzling jumpers? ), before switching to the other end of the day for Newsnight and Question Time. Anna returned home to Northern Ireland in 1995, becoming BBC NI Head of Programmes, and was appointed Controller in September 2000. She’s a Trustee of the Grand Ole Opera House, which is currently in the middle of a major building programme. And it’s not the only of change for the BBC locally at Ormeau Avenue. With the transition from the long standing BBC Governors structure to the new BBC Trust, only three of the current eleven governors (along with the chairman Michael Grade) have a place in the new organisation. So Northern Ireland’s Governor - Prof Fabian Monds - will not move to the new body. So both the head of the operational organisation and the local point of accountability will both switch. You’ve missed the closing date (26 June) for responding to the DCMS (Department for Culture, Media and Sport) advert for a Trustee for Northern Ireland. But you’ll soon catch the Controller’s job being advertised as the BBC seek to fill the vacancy in the run-up to Anna’s departure. Whether an internal or external appointment, whether a local or national/international figure, it will be interesting to see the effect of a new Controller on the local programming. One of the issues facing the BBC in Northern Ireland at the moment is the lack of locally-produced programmes reaching a national network audience. Most of the entertainment/drama produced through BBC NI, is either filmed in the UK mainland under supervision of NI producers (eg, Murphy's Law, or is handled by local independent production companies like Wild Rover (Just for Laughs). So other than financial control and senior producers/directors, there is in fact little local involvement. Ballykisangel is probably the best known BBC NI network drama - and back in 1996 it was filmed in Wicklow and Dublin. And although we used to dominate the national news programmes with NI reports for all the wrong reasons, that too is in decline. 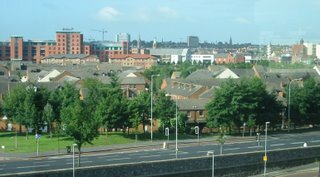 BBC NI only contributed 26.9 hours of output to Network Television in 2005/6 (compared to the 627 hours shown locally). Facing the Truth with Desmond Tutu was perhaps BBC NI's highest profile national network production, shown on BBC2. The watermelon-shaped inflatable Genesis I spacecraft launched by Bigelow Aerospace on Wednesday is now orbiting the earth, and has successfully expanded. The solar arrays unfolded and picking up enough of the suns rays to keep the on-board batteries fully charged. The BBC’s latest news report read ok, until the word "marinating” jumped out of the screen at me. 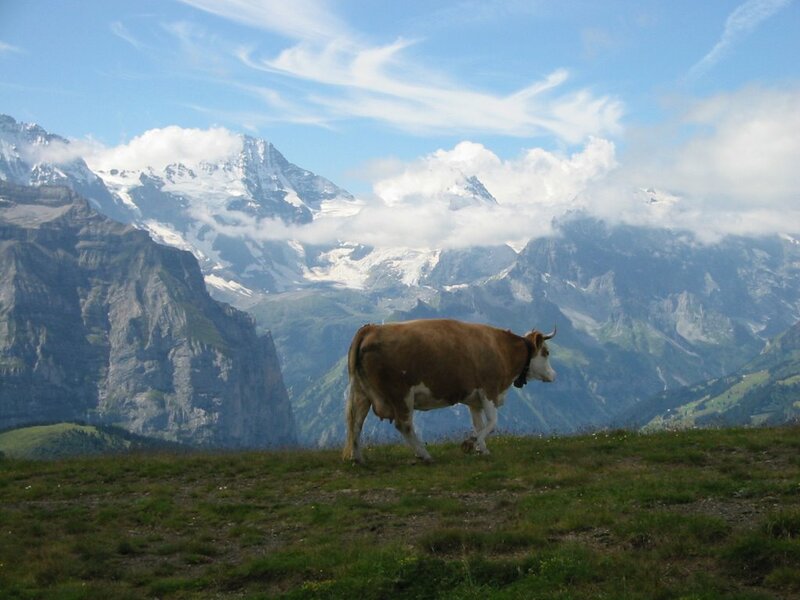 Are we cooking meat up there? No. Not meat. Well, would insects count as meat? So once the on-board cameras start downloading their images to the ground, we should have something to seriously rival Channel 4’s Big Brother and ITV’s struggling Love Island. 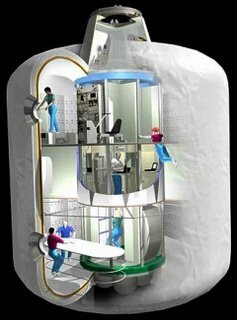 And just imagine the fun that interior designers will have trying to design hotel furniture that can be stowed fully collapsed for the launch, before being built inside the inflatable structure. 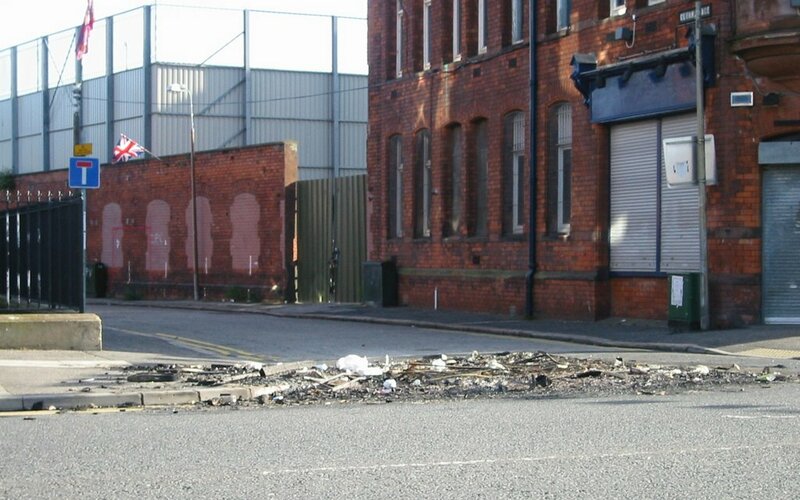 An unexpected further set of images depicting the impact of yesterday on today in East Belfast. 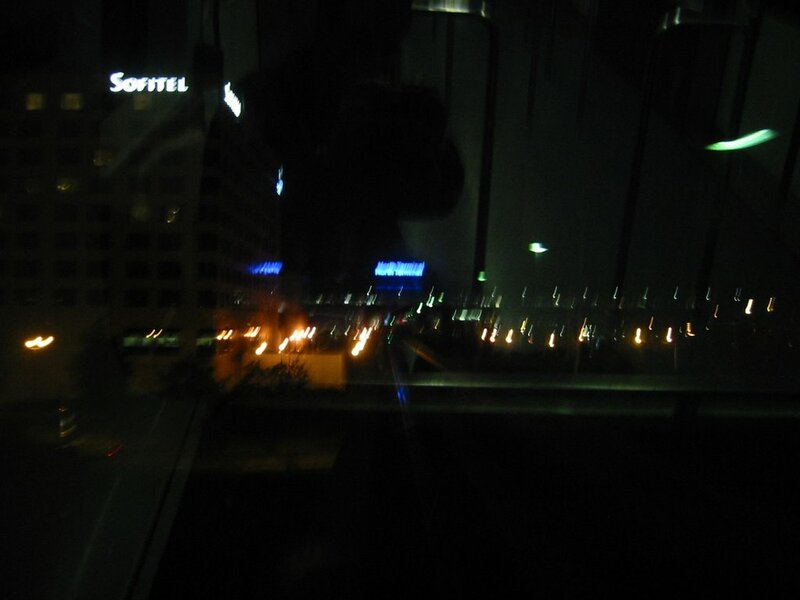 A quarter to nine at night. All I wanted were some chicken breasts and a few other bits of shopping. After all, I was working today, and Thursday night = late night shopping. They’d have been easier to buy on Boxing Day than the 13th of July! 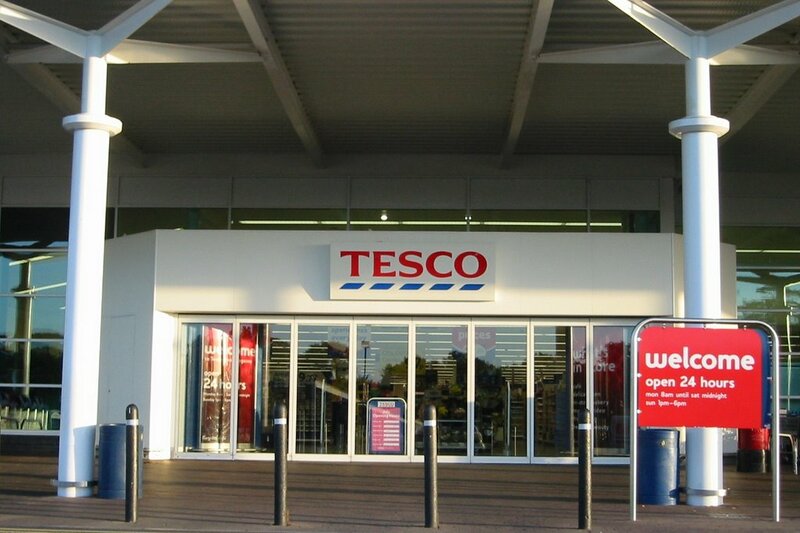 Tesco at Knocknagoney … not so 24 hour this week. 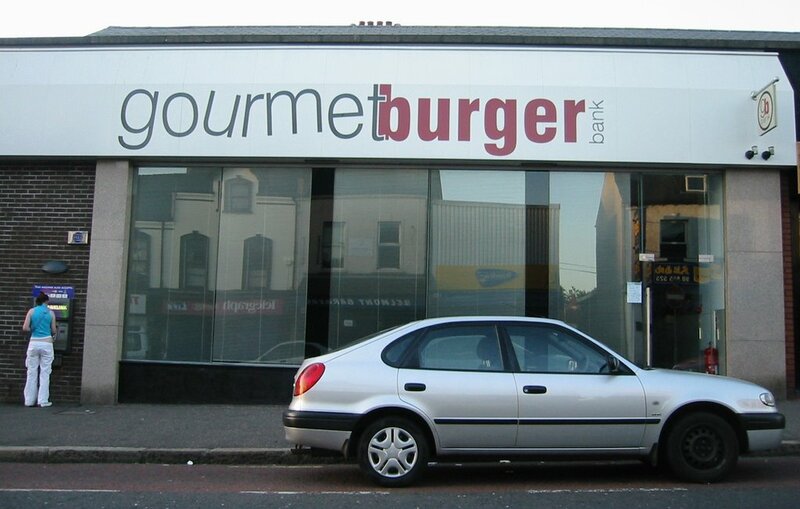 Driving past the Gourmet Burger Bank (you either love it or you loathe it) and it was closed too. No one encouraged to eat out in mid-July shock. 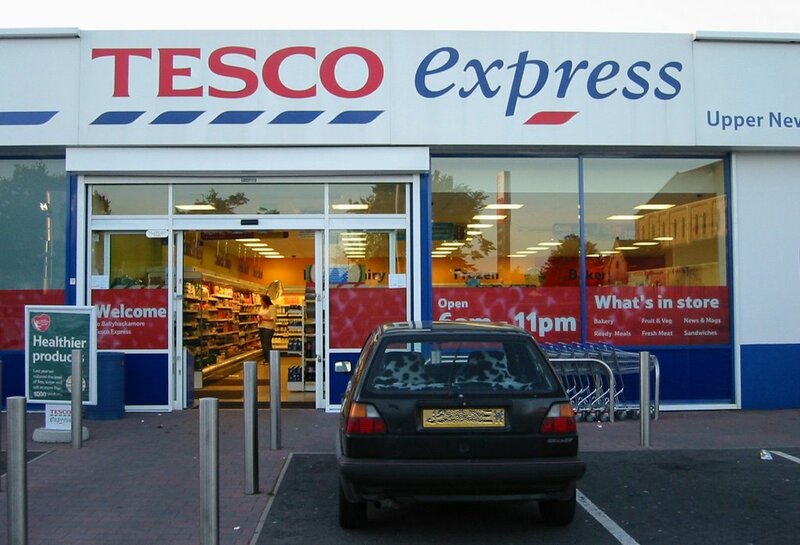 But, Tesco Express came to the rescue. Local, and open when you need it. 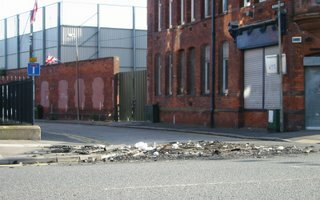 The first shows the remains Cluan Place bonfire … and another hole in the road that the increasing Belfast rates bills will have to cover. The second shows this morning’s rush hour – on what is usually a very busy road. One pedestrian, no cars. For those of us working today, the morning commute was a breeze. Fancy a stay in an inflatable space hotel? Everything can be inflated these days. I've previously posted about an inflatable office in a bucket. I’d an inflatable Christmas Tree dangling above my desk over the festive season. There’s an inflatable sunflower (only about six feet tall) sitting around the corner. My daughter loves paddling in her inflatable pool. But a spacecraft? Check watch in case it’s 1st of April? Based on an old design by Nasa, Bigelow Aerospace have built a prototype an inflatable Earth-orbiting module. Genesis I was carefully folded up and placed on board a Dnepr rocket (a converted Russian intercontinental ballistic missile) and launched from Yasny in Siberia today. 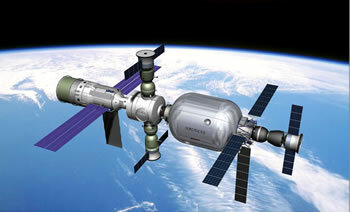 Full size for the prototype is about 4.5m long, with a diameter of 2.4m - one-third of the size of a full-scale craft. Bigelow plan to monitor Genesis I over the next few years, to see how the material fairs out of the lab and up in space. Eventually, it could form the core of a space hotel. Now it’s not as mad as it might sound. Lighter that the entirely solid space station components currently orbiting the Earth, the inflatable walls are composed of materials that include Kevlar (used to good effect in bullet-proof vests). On the full-scale craft, they would be 40cm thick – enough to resist penetration by most space debris. I work with a lot of people who live in Mumbai (Bombay), and also spent a fortnight working there and in Pune several years ago. Several colleagues have recently returned from visited the area. 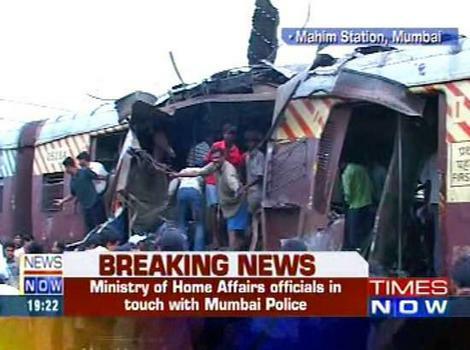 It is appalling to hear about the bombs that exploded on trains in Mumbai this evening. Reports suggest that seven bombs exploded in the first class carriages of trains across the city of Mumbai in a synchronised attack at 1830 local time (1400 UK time). Being rush hour, there would have been thousands of workers returning home on the very efficient rail network. Police expect that more than 100 people have died. The rail network has now been shut down. Coming only days after London marked the first anniversary of the 7/7 public transport blasts, it is tragic that another city is facing a similar atrocity. 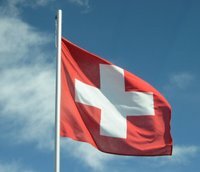 Update - You can follow the story on Wikinews and Wikipedia. Tonight’s Belfast Telegraph reports that Damien Morelli kept his promise and dished out free ice cream after Italy won the World Cup on penalties last night. Hundreds of people stormed Morelli's in Portstewart last night after owner Damien Morelli promised free ice cream for an hour if Italy won. Queues snaked on two sides down the seafront as delighted Damien made good on his promise after the victory. He even kept the ice cream parlour open for an extra hour and a half longer than his original promise. About 4.40pm, someone turned on the tap above Belfast. Ever been away from home and remembered that you didn’t set the video to record something you wanted to see? It’s become less of a problem for people with PVRs like Tivo or Sky+, since they tend to be used to record an entire series of a show. But one-off programmes are often publicised at the last minute, - I usually read about them while scanning the papers on the plane on the way across to London - when I’m very definitely out of remote control distance. Over the last few years, a series of hacks have been developed for the Tivo - TivoWeb and now TivoWebPlus provide a web interface to programme their Tivo, allowing remote access if your Tivo is hooked up to a permanent internet connection. Later generations of Tivo hardware and software may also allow over-the-web programming - but it’s not available to UK customers who are trapped on the original hardware. Sky+ have sensibly enhanced their service with Remote Record to allow registered customers (paying subscribers) in UK and Ireland to text in details of programmes they want recorded: name of the show, channel, date and time to 61759 (61SKY). Up to eight mobile numbers can be associated with a single Sky+ box, allowing the entire family to text in their requests. GPRS and 3G mobile users can also access the seven-day programme guide from their mobile browsers to elect programmes for recording. And the facility will shortly be added to the sky.com website.